This group meets on Thursdays, 10.00 am-12.00pm at The Speakers. 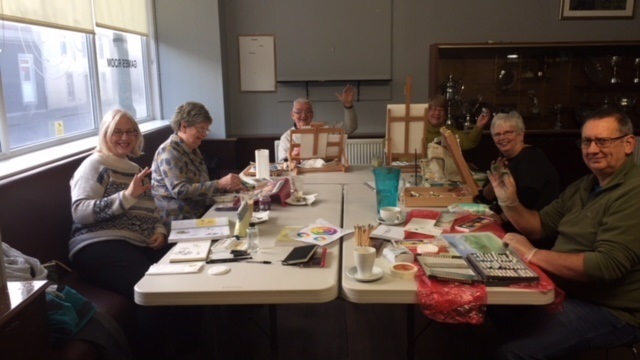 Latest news from the Art Group. As from Thursday 7th February our new tutor, Marlene Guthrie, will attend to lead the group. Marlene will attend on the first Thursday of the month in subsequent month. For these sessions there will be a charge of £7 per person. The aim of our regular sessions is that everyone works on something they like/ want to learn more about. Some work in acrylics, some in water colours and some in pastels. So if you fancy learning to draw or paint come along. There will a charge of £3 per session to help fund consumables. If you would like to attend or would like more information, please use the Contact us page to send us a message.